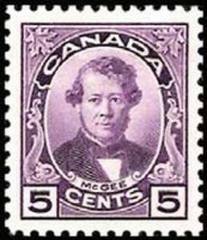 Thomas D’Arcy McGee, (he signed both McGee and M’Gee), journalist, poet, and Canadian Parliamentarian, was born on 13 April 1825 in Carlingford, County Louth. He was assassinated by a Fenian sympathiser on 7 April 1868 in Ottawa. He was the only federal politician in Canada to have been assassinated. McClintock Channel, at the Northern tip of Canada, inside the Arctic Circle, takes it’s name from Dundalk born Sir Leopold McClintock. 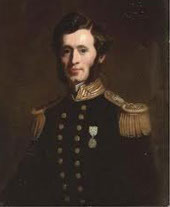 Born in 1819 in Kincora House, McClintock joined the Naval Service at the age of 12. He went on to chart much of the Arctic regions of Canada and lead the successful expedition which discovered the fate of Sir John Franklin and his ships on their quest for the North West Passage. For this he earned his knighthood and freedom of the cities of Dublin and London.